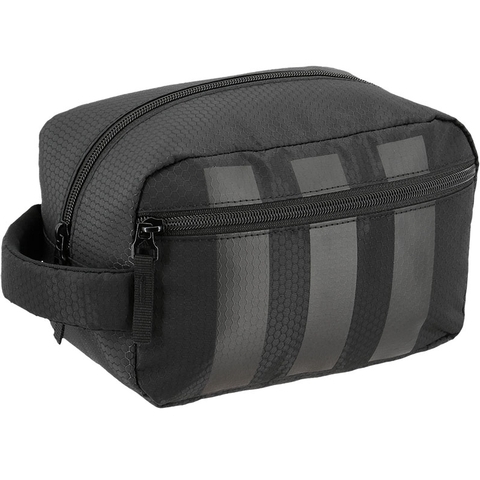 The Adidas Tourney Toiletry Kit has a main compartment with dual zippers for complete access to all your belongings. There are also internal zippered mesh pockets as well as front zippered pockets to assure nothing gets lost or misplaced. Embroided with the Adidas logo, the Adidas Tourney Toiletry Kit will make portable carrying easy. Dimensions L10 in. x W7 in. x H5 in.